Stargazing: If you’re someone who goes all ecstatic at the sight of a shooting star, you’ll want to try your luck at Dobhi. Late in the night, the sky shines bright with umpteen stars sprawled across its chest, making for a view to marvel at. Hikes The Dobhi village lies majorly unexplored, prompting wonderful hiking opportunities to those who seek its company. Go up and down the beautiful trails covered with trees and flower plants, overlooking the snowy Himalayas and a clear, beautiful sky. Fojal Village A rustic town with the vibes of the ‘80s, the Fojal Village teams with traditional houses, conventional lifestyle, and unfiltered views of nature. Explore the unique culture of the town as you gaze at the beautiful scenery. Paragliding The Fojal Valley is fairly popular for paragliding, as you can glide from one of the highest points in Himachal here. There’s a special discount for Zostelers on this must-have experience too. By Bus - Take the bus from Delhi to Manali. Dobhi falls en route, 22km before Manali, so you can drop-off at the village itself. The nearest ISBT is Kullu. By Taxi - You’ll get direct taxis from Kullu to Dobhi. They’ll charge approximately 1200-1500 INR. By Air - The nearest airport is in Bhuntar, located 31km from Dobhi. You can then take a taxi/bus to Dobhi as directed above. The taxis may charge around 2000 INR from the airport to Dobhi. By Car - Take the NH3 to Manali. From Dobhi, take the left diversion towards Fojal Road and carry on for 2km. ZostelX Dobhi should be visible from there. For further detailed directions, please call the property prior to your arrival. Sitting on the banks of the Beas River, the Kullu Valley is a treasure trove of picturesque landscapes throughout its map. 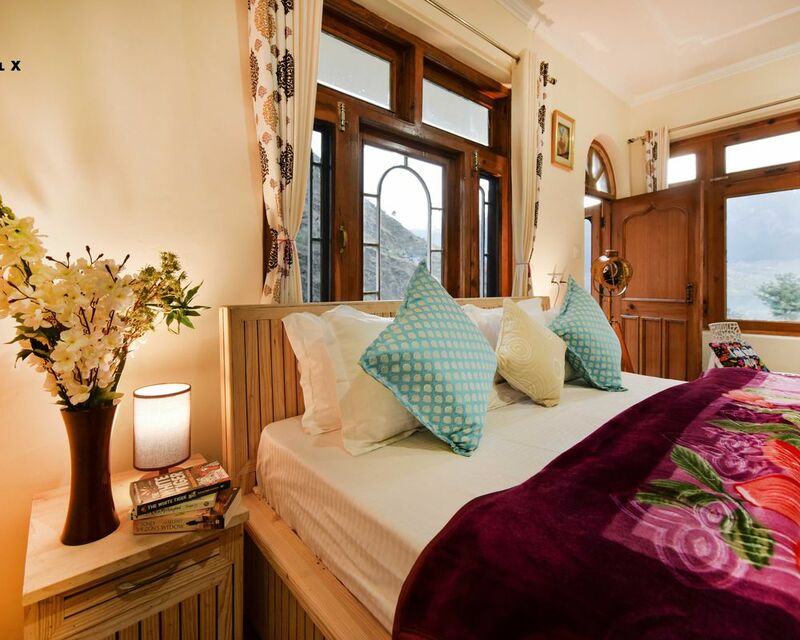 It holds quaint towns reflecting the local Himachali culture and has its fair share of overly popular and barely explored travel destinations alike. Dobhi is a quant Tibetan town in the mountains of Himachal Pradesh, 22 km from Manali. Resting in an expanse of apple orchards and fields, ZostelX Dobhi is the perfect getaway for artists, solitude- seekers, and adventure lovers for a rejuvenating getaway. The property is not pet-friendly. Drinking and smoking are prohibited inside the property. Guests are requested to resort to the open areas for the same. No room or luggage services will be provided at the property. All the food served will be home-cooked. Any special request regarding food or facilities needs to be intimated in advance. The area will have to be kept noise-free post at 10 pm. Nature and surroundings should always be respected and taken care of. A Buddhist lady and perhaps the jolliest one you’ll come across, Shakuntala leads the simple village life of the mountains. As a hobby, she makes scrumptious Lahauli food, which is bound to win your heart.